Leave Somerset behind and see the world in comfort and style with our guide to flights from Bristol. Only eight miles from Bristol Temple Meads is the airport. Head here for cheap flights from Bristol to the world. But where can you go? Let’s have a little looksy! Want to go from Bristol but wondering where to head? Here’s some of the most popular destinations out of Bristol Airport. All destinations, airlines and flight times were correct in May 2018. Off to sunny Spain? Looking for flights to the jewel of Andalusia? You've got the pick of a couple of airlines. At the time of writing, you can choose from British Airways, Ryanair, TUI Airways, and yep - easyJet. With a few to pick from, you can really compare prices to find the best deal for you. Flight time is just over two-and-a-half hours. The Costa Blanca more your thing? Hit the beach via Bristol Airport with Ryanair, easyJet or TUI. With choice, comes competition - so you might bag a bargain. Expect flight times of two-and-a-half hours. If the Fair City is calling you, then you've got options out of Bristol. You can fly direct to Dublin with Aer Lingus and Ryanair when we had a butcher’s in May 2018. Flights take just over an hour. Amsterdam is the most popular destination out of Bristol. Or should we say Schiphol is. You can connect to pretty much anywhere in the world from the Dutch capital, making it a great transfer spot. But let’s not forget the fantastic city break that the Venice of the North can offer. So who can you fly with? Take your pick from KLM or easyJet. It usually takes 80 minutes to go Dutch. Thinking of a romantic trip to the City of Love? Perhaps you're going on business. We'll go with the City of Light in that case. Fluent in French? La Ville-Lumiere then. Whatever you call it, if you're Paris-bound, don't be down and out - fly from Bristol. BMI and easyJet can take you there. Expect to be on the plane for an hour and twenty minutes. Tres bon! Auld Reekie now. Can you guess who flies direct between Bristol and Edinburgh? Yep, it's easyJet again. It takes five minutes less than Glasgow too. Don't fancy the five-hour drive to the Toon? Nor the four-and-a-half hour train ride to Tyneside? Then the quickest way between Newcastle and Bristol is to fly. It takes just over an hour and easyJet can get you there. Howay the lads! So you might have seen easyJet pop up a few times when we looked at destinations you can fly to from Bristol. That's because Bristol is a focus city for them. You can fly to over 60 destinations with easyJet from Bristol Airport. We've been looking outwards in this guide but maybe you're coming to Brizzle? And we can't blame you, Bristol is a banging city. It’s also the closest airport to Glastonbury Festival. You’ll find it about eight miles south west of Bristol. There's no train line (but there is talk of building one), so for airport transfers it's bus or taxi. The Airport Flyer runs every 10 minutes during peak hours and comes and goes at all hours of the day. At the time of writing, it's £13 return if you buy on the day. It's cheaper if you pre-book. The return leg can be done up to a month later. Bristol Airport is also served by coaches that can connect you to towns and cities across Wales and the South-West. A taxi from Bristol Airport into the city centre will set you back around £30. Thinking about driving to Bristol Airport? Then you're gonna need to read our guide to Bristol airport parking. Whether it's holidaymakers heading for the sun or a city break, summer is usually the busiest time for Bristol Airport. As such, fares can go up during this time and at Christmas too. So what can you do? Flight prices change all the time. Why not set up some alerts? And always, always, shop around and compare prices. Gocompare.com introduces customers to Skyscanner to provide the Gocompare.com Flights comparison service. Skyscanner Limited is registered in England and Wales (Company No. 04217916). Registered Office: Suite 7-001, 1 Fore Street, London, EC2Y 5EJ, United Kingdom. 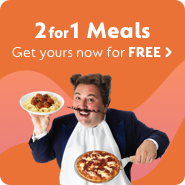 Gocompare.com's relationship with Skyscanner is limited to that of a business partnership, no common ownership or control rights exist between us.